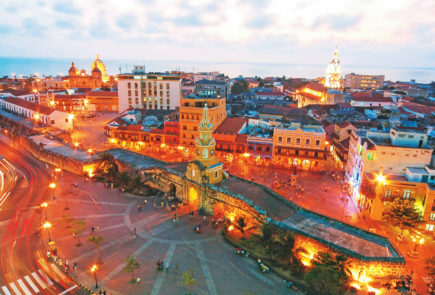 Colombia captivates the traveller with unique natural wonders and mysterious manmade treasures to discover. Few have visited the hidden Lost City, one of Colombia’s most important archeological sites. Marvel at the awesome beauty of the snow capped Nevado del Ruiz, an active volcano in the scenic Los Nevados National Park, or visit San Augustín where hundreds of carved stone statues stand in silence revealing the mysteries of an ancient civilization.